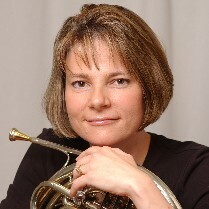 Kristy Morrell has been a member of the USC Thornton faculty for over two decades as instructor of horn and chamber music. Currently she chairs the department of Winds, Brass and Percussion. 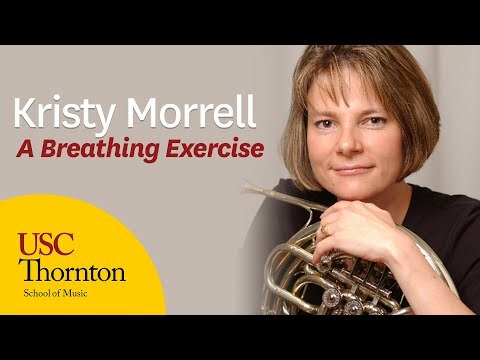 Kristy Morrell has been a member of the USC Thornton faculty for over two decades as instructor of horn and chamber music. Currently she chairs the department of Winds, Brass and Percussion. She has been a member of Los Angeles Chamber Orchestra since 1997, and performs frequently with the Los Angeles Philharmonic, the Los Angeles Opera, Pasadena Symphony, the Hollywood Bowl Orchestra, Pacific Symphony and New West Symphony. She is also a respected recording artist, performing on numerous motion pictures, television soundtracks and records. Kristy has a Doctor of Musical Arts degree from the USC Thornton School of Music, where she also received her Master of Music. She received a Bachelor of Music and a Performer’s Certificate from the Eastman School of Music. In 1993 she was the First Place winner of the International Horn Society solo competition, and in 1997 she was the First Place winner of the solo competition at the International Women’s Brass Conference. Her principal teachers were Verne Reynolds, Vincent DeRosa and James Decker. Soloist at the 2005 convention of the International Horn Society. Performed on the sound tracks for hundreds of motion pictures. Helfter, S., and Morrell, K. (2005) “Performing Musicians in the Schools: The preparation and Training of Musician Teaching- Artists.” The paper was presented at the 2005 Symposium of the Society for Music Teacher Education, in Greensboro, NC.